I’m assuming you read some of the specs on the apple websiteand you know all the special sauce upgrades. So as you can see I need this thing to do a lot really well but nothing too out there like heavy 3D animation or 4k special effects. The computer and operating system is as much of a design tool as other software in that it helps us stay productive and creative. It’s important to make the right choice with an upgrade. This is mostly a computer to use with a large screen to work on projects. I occasionally use it on my lap and on airplanes. I don’t need it to be super mobile right now, but it is nice to have the option to haul it around. So far the weight difference has been negligible in the hand, but it definitely feels lighter in my pack. Apple hardware rarely disappoints. In terms of a physical object this thing is really well designed. Lots of people are split on the keyboard. I got used to the new keyboard within a few days and actually really like it so far. 2 months into using it I still prefer it to the older keyboard. The screen is beautiful. You will love it. It’s brighter and crisper than the old screen and looking at high resolution images on it is a treat. Even though the difference is subtle between the previous generation screen it’s still one of my favorite updates. The Touch Bar is great for some programs like Quicktime where you can scrub through the videos quickly. 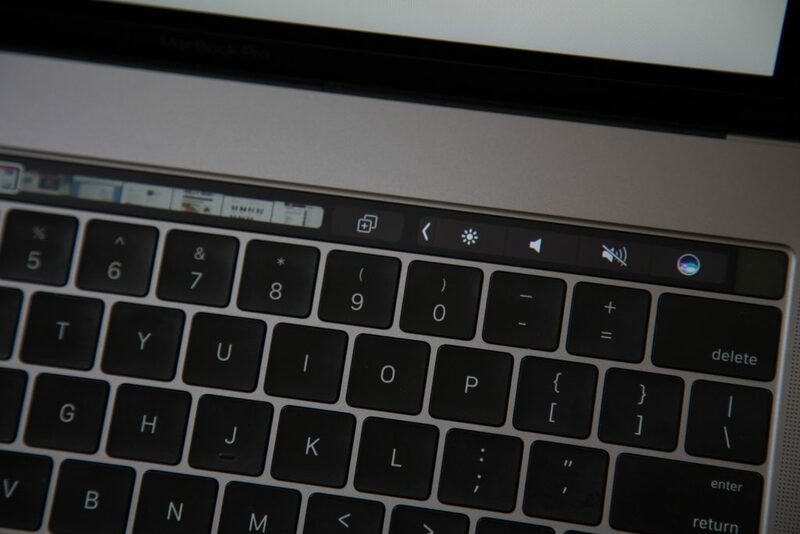 For most professional software the Touch Bar will not make you more productive yet. You will notice little delights here and there, but I am assuming you already use shortcuts in programs like Lightroom and Sketch so the Touch Bar is just a ’nice to have’. The feature that does save lots of time is the fingerprint reader. You will be amazed how many times Apple asks you to input your password for installing various plugins or changing settings. Glad that’s solved! Dongles are not as much of a problem as I expected. I need some USB peripherals when I’m at my desk but small USB to USB-C adaptors were cheap. I recommend getting the small converters for stuff you do not use a lot and the Mac adaptor for plugging in peripherals like Monitor, power and a regular USB into one port. This is actually more convenient than the old macbook setup where you needed to plug the power and HDMI/Thunderbolt in separately. One thing that is not reviewed a lot but is worth mentioning are the speakers on this laptop. They’re amazing! Lot of dynamic range in the sound so most listening situations are nicely covered. The battery life is shorter than older Mac laptops. When I first started using the laptop the battery was dismal, tapping out at about 2 hours of usage. But with having Automatic Graphics Switching on and letting the machine index everything the battery life went up to about 4–5 hours of photo editing. If you need more productivity time you may need to haul around an external battery with you. The one upside to this new deign is that you can get a large external battery and be mobile for much longer than with the old generation MacBooks Pros. I had a hard time with charging this laptop at first. 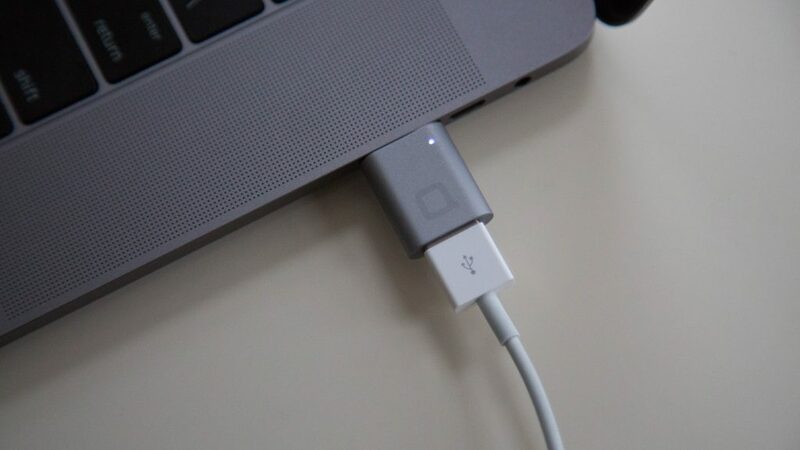 The MagSafe adaptor is gone and you will have to aim the USB-C just right to secure it to the laptop. The connection never feels rock solid and I think over time it will wear down that port in a major way. A griffin cable I bought with a MagSafe solutionwas poorly designed and virtually unusable. As of right now I do not know of another magsafe solution. If it does exist, let me know on Twitter or the comments. You can charge the MacBook with a smaller charger than the 87W charging block that comes in the box but there is a huge tradeoff in charging speed. 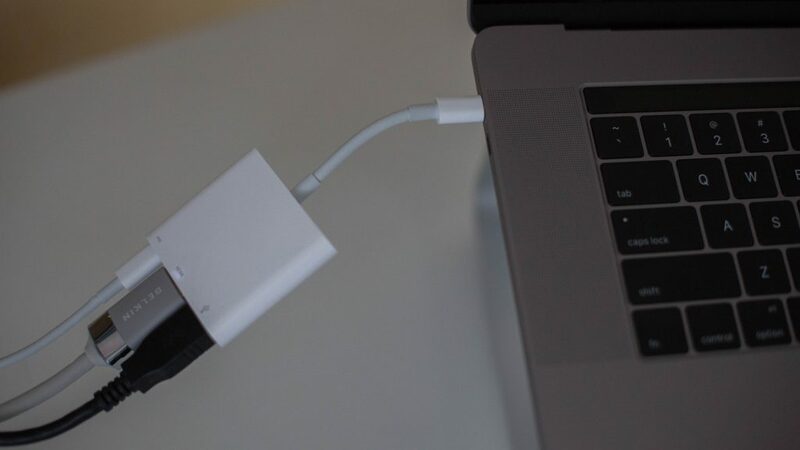 Beware of third party cables making a poor connection to the ports on the MacBook Pro. So far the only one that worked perfectly is the Apple cable. Adjusting the volume and dimming the display are now one more tap away. This is kind of a big deal because it is one of the core functions of the laptop and was super straightforward on the old machines. Let’s hope this gets fixed in a firmware update soon. For now, check out this helpful post by Craig Mod on how to mod your Touch Bar. This laptop is maxed out with RAM, Processor boost and video card specs but it still chugs on some of the Lightroom operation with large RAW files. This is not to say it’s not snappy for everyday use, but I expected it to have butter smooth operation everywhere. Alas, it does not. As you may have seen in other reviews, this laptop feels underpowered for the price. I’m invested in the Mac ecosystem and I needed a new computer. I love the idea of an all-in-one workstation and this Mac is meeting my needs at the moment. Of corse, I would have loved for it to be without flaws but for me the extra features outweigh the annoyances. 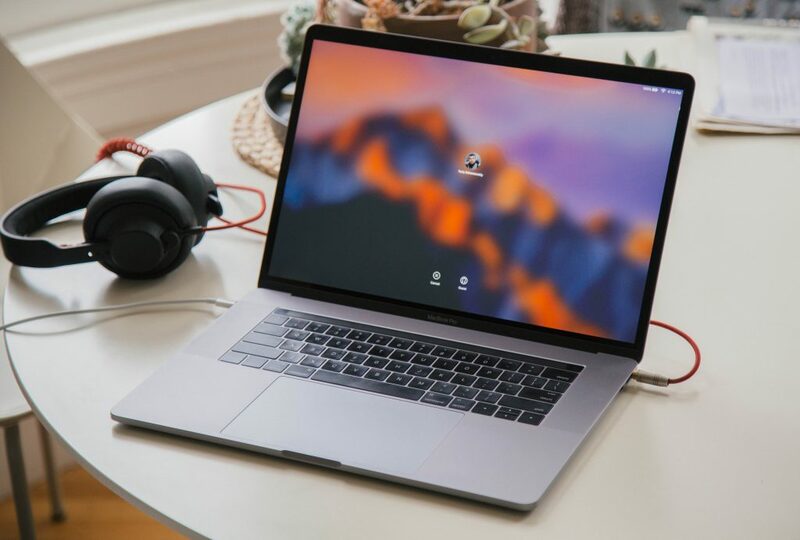 If you are on a budget and need an upgrade from a really old Mac you can try to get a used 2015 MacBook Pro model with nice specs. After all, this is a review for people who use their laptop for work and while the new Macbook Pro has a ton of nice features it would be silly to go into debt to get them for your work environment. Overall, I think it’s a solid laptop choice if you are upgrading from an older machine but unless you need to upgrade it’s better to wait for horsepower and battery improvements.